Review: Let’s be real here…you didn’t like those first two Thor movies either, did you? I knew it. Seemingly out of place in the Marvel Cinematic Universe, likely because they were the only films that took place largely in literally their own universe, Thor and it’s sequel Thor: The Dark World were what comic book movies should never, ever be: boring. It was only when Thor joined up with his friends in The Avengers and Avengers: The Age of Ultron that the Norse god felt energized and alive. Well after Thor: Ragnarok there is enough electricity generated by director Taika Waititi to power several more sequels. It puts the other two films to shame and bests several other Marvel outings at the same time. As the film opens, Thor (Chris Hemsworth, Rush) is in a bit of a bind as he finds himself in the clutches of the fire demon Surtur. Surthur lets Thor know that a great battle known as Ragnarok is about to unfold, a battle that will see Surtur lay waste to Thor’s Asgardian home and all its peoples. Since this is the prologue and we have a couple of hours left, I don’t think it’s a spoiler to say that Thor makes it out of his prison and finds his way back to Asgard. Arriving unannounced only to run into his mischief making adopted brother Loki (Tom Hiddleston, Kong: Skull Island) masquerading as their father Odin (Anthony Hopkins, The Silence of the Lambs). Unaware that Loki imprisoned his father on Earth, Thor meets up with Doctor Strange (Benedict Cumberbatch, August: Osage County) who points him in the right direction of where his father may be. Thor does find his pops but the reunion is short-lived as his long-lost sister Hela (Cate Blanchett, Blue Jasmine, having the absolute best time ever) arrives with her eyes on Odin’s throne. 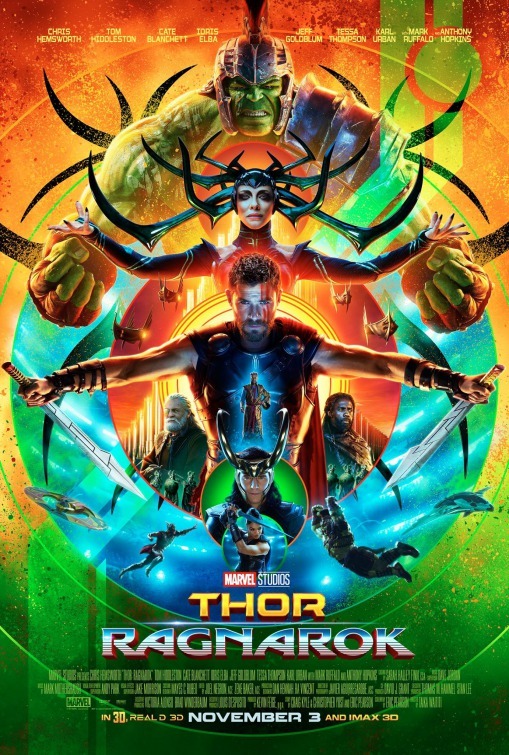 Sending her siblings into another galaxy to get them out of her villainous way, she starts to wreak havoc in her homeland and Thor and Loki make their way through a new world ruled by the Grandmaster (Jeff Goldblum, Jurassic Park). With Loki avoiding a life of servitude on the junk planet, that leaves Thor fighting for his freedom, gladiator-style, against his old friend the Hulk (Mark Ruffalo, Foxcatcher). Assisted by fellow Asgardian in exile Valkyrie (Tessa Thompson, Creed) and loyal Heimdall (Idris Elba, Prometheus), all make their way back to Asgard to face off with Hela to save their world. There’s a lot that happens in Thor: Ragnarok and it’s almost universally entertaining. Waititi (who also plays a dryly-hilarious alien made up of rocks) brings such interesting ideas to the table along with a sense of humor and fun that has been missing from not only Thor’s previous outings but from Marvel at large. With its fun cameos (not only from Marvel characters), it’s wacky and colorful and I enjoyed every minute of it. Mark Mothersbaugh’s (The LEGO Movie) score is a real tip and while they curiously use Immigrant Song twice, it makes sense and gives key battle sequences a rock concert vibe. I normally recoil at movies that are so CGI heavy but the visuals are gorgeously rendered here, making for truly exciting viewing. While it does help to have a working knowledge of the other entries in the Marvel Cinematic Universe, this one may be a good entry point for newbies…but then someone will have to explain to them why the other two movies are so dull. Here’s hoping Marvel retains Waititi because he’s the reason why this works so very well. Synopsis: Thor must face the Hulk in a gladiator match and save his people from the ruthless Hela. 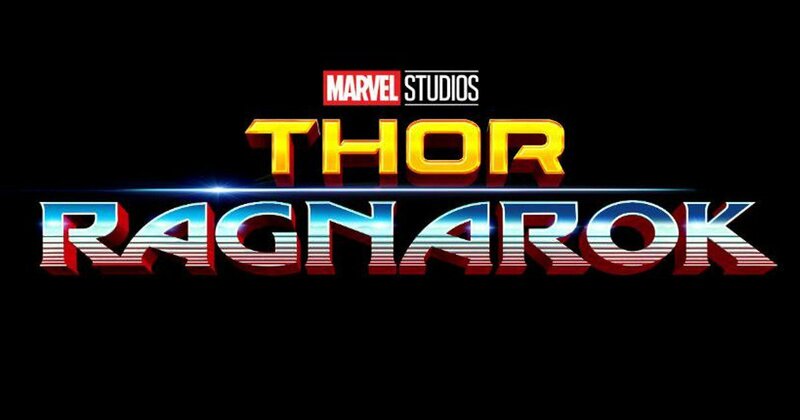 Thoughts: At the end of this first teaser trailer for November’s third Thor film the only word I could think of was ‘finally’. Finally, after two solo films and appearances in several other Marvel releases, the God of Thunder might just get his own adventure that’s worth a second viewing. I wasn’t any kind of fan of the original Thor or its sequel Thor: The Dark World, finding them turgid treks through standard action franchise portals. This one, however, just feels like it has a pulse and personality to go with it. From the inspired casting of Oscar winner Cate Blanchett (Blue Jasmine) to a genuinely exciting surprise finale right on down to the ‘80s reminiscent title cards…I’m actually looking forward to this one. Synopsis: When her father unexpectedly passes away, young Ella finds herself at the mercy of her cruel stepmother and her daughters. Never one to give up hope, Ella’s fortunes begin to change after meeting a dashing stranger in the woods. 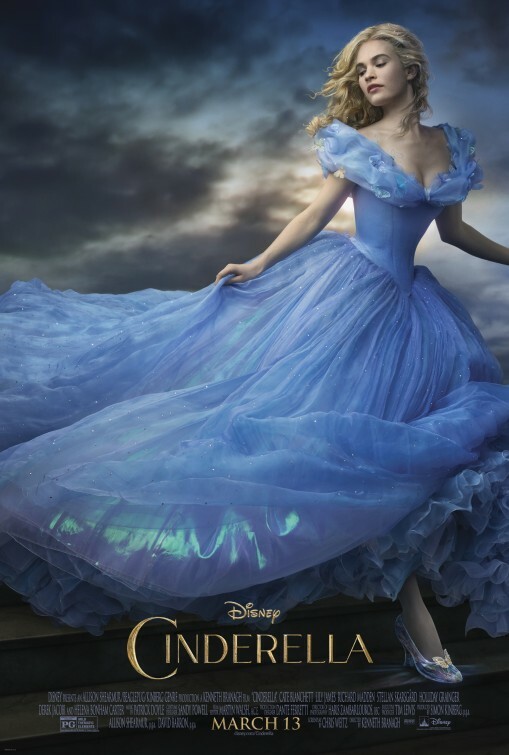 Review: I remember being none too plussed when it was announced that Walt Disney Pictures would be giving their timeless classic Cinderella the live-action treatment. Could you really blame a fella for worrying that the studio that turned their lovely Alice in Wonderland into a madcap mind meld that wasn’t even interesting to look at (it’s one of the few films in recent memory that lulled me to sleep behind my 3D glasses) would muck it all up again by sending another valued animated classic into the live-action void just in time for its 65th anniversary? 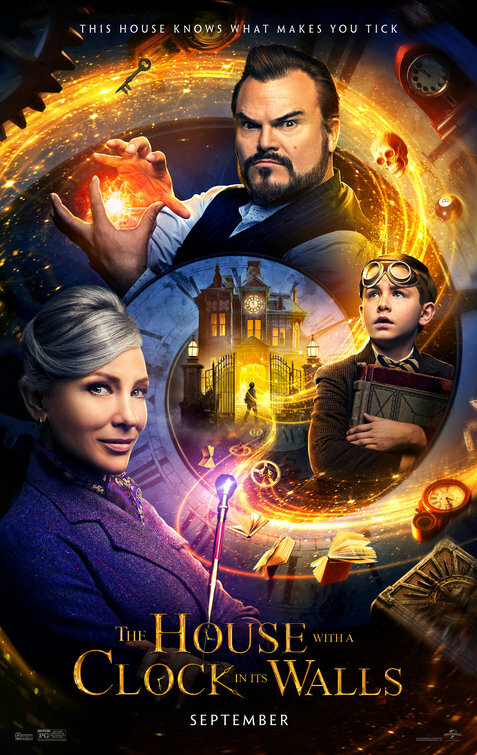 Turns out that the studio saw the error of their ways (even though an Alice sequel is in the works…shudder shudder) and took a very traditional approach to bringing the tale of the orphaned girl that slept in the cinders who gets to go to a ball courtesy of a fairy godmother to the screen. Well, traditional isn’t really the right word because that suggests something perhaps more serviceable than memorable…and this Cinderella might just be a classic all its own. With a script from Chris Weitz (A Better Life) that hits all the proper beats of Charles Perrault’s pristine fairy tale, this Cinderella is a gossamer gown of a film that beats with a heart that’s true. It’s so rare these days to be able to describe a film as celebrating goodness without passing out an airsick bag to anyone that’s listening but even at its most saccharine (and it does get ever so close to diabetic-shock inducing sweetness) there’s something so totally winning and, yes, enchanting to be found in every frame. The look and feel that director Kenneth Branagh (Jack Ryan: Shadow Recruit) brings to the screen can be attributed to Branagh’s classy Shakespearean roots, as well as Haris Zambarloukos’s (Thor) unobtrusive cinematography, Dante Ferretti’s (Hugo) striking production design, and Sandy Powell’s (The Wolf of Wall Street) gorgeous costumes. All of these production elements work in harmony to create a world of fantasy that doesn’t seem so hard to believe in. Branagh has assembled a cast that are across the board perfect for their roles. Though she’s playing a damsel in need of a Prince’s salvation (which could be enough to make any grrrl power supporter raise an eyebrow or two), Lily James never lets her Cinderella be pitied. Though suffering through the tragic loss of her beloved parents and forced into servitude to a wicked trio of women, she never loses the goodness inside her or the search for the goodness she believes is in everyone else. She’s matched well by Richard Madden’s restless Prince, handsome and quite dashing is the name of Madden’s game. James and Madden create some palpably chaste chemistry, so by the time the two meet when James makes the kind of entrance usually reserved for a Broadway stage, we long to see them kiss more than anything else. Oscar winner Cate Blanchett (Blue Jasmine) has a devil of a fun time as the wicked stepmother and is wise enough to understand that she’s in a sophisticated re-thinking of Cinderella, resisting the urge to camp it up. Hers is a porcelain doll of a performance, never showing the cracks underneath until very near the end when some believable rationale for her treatment of her stepdaughter is revealed. 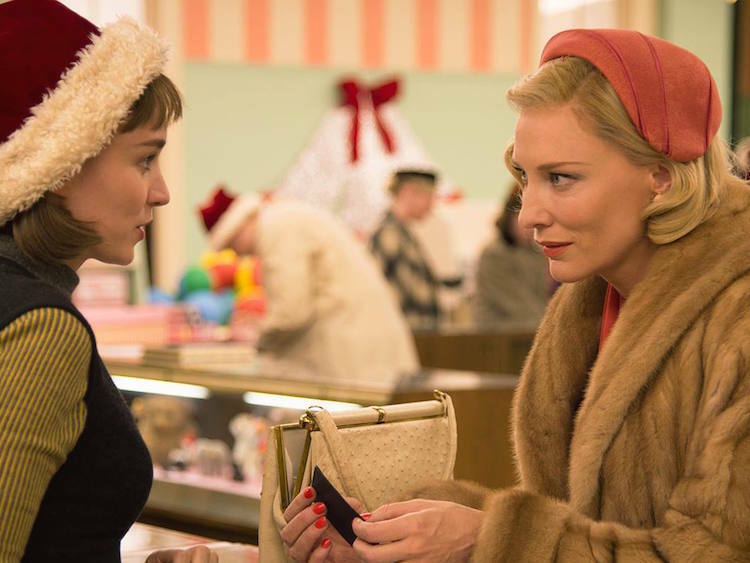 Blanchett gets to wear Powell’s most gorgeous frocks and the actress revels in every moment onscreen. Wicked stepsisters Holliday Grainger (Anna Karenina) and Sophie McShera may not be as comical as their animated counterparts, but they balance it nicely by being such refreshingly clueless dingbats. Derek Jacobi has several wise scenes as the King and Nonso Anozie (The Grey) is particularly impressive as the Prince’s trusted right-hand man. I could have done without a largely unnecessary political subplot involving Stellan Skarsgård, it’s the one weak spot in an otherwise rock-solid film. Oh yes…let’s talk about Helena Bonham-Carter’s (The Lone Ranger) daffy Fairy Godmother. Sporting some interesting veneers, the actress is a looney treat as she bibbity bobbity boo’s her way through her short appearance onscreen. Her transformation of Cinderella, several four-legged friends, and one pumpkin into a troupe fit for a palace ball is, of course, a highlight. This is one of those movie-going experiences I call a 1-101. It’s perfect for any age and moves briskly enough to hold your attention…not that you’d be bored with the sumptuous costumes and shimmering magic on display. I rarely see movies twice in the theater but this is one I’m looking forward to experiencing on the big screen again. Don’t forget to stay until the end for some familiar tunes! Cinderella is great entertainment on its own…but the good feelings start even before the credits roll because Disney is also releasing a new Frozen short before the film and it’s nearly worth the price of admission itself. Picking up shortly after the events of Frozen, Frozen Fever finds ice princess Elsa planning the perfect birthday party for her sister Anna. Things don’t go quite as planned as Elsa comes down with a…wait for it…cold. 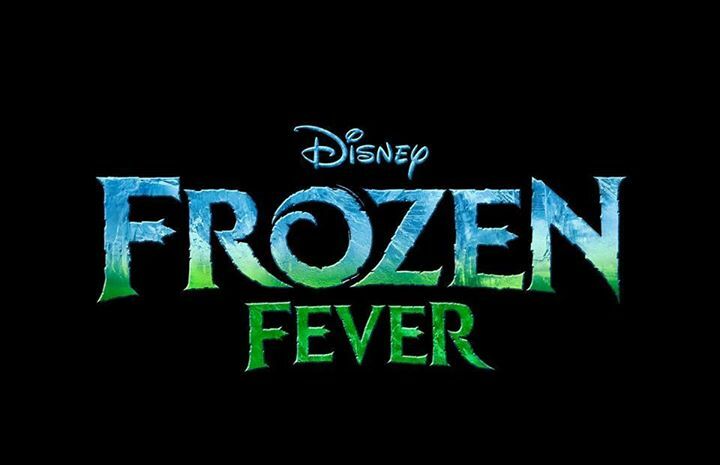 With sneezes that produce mini snowmen (Disney’s attempt to Minion-ize their cash cow of a franchise), Elsa sings her way through her party plans while Olaf and Kristoff help out in their own way. The song featured here is no Let It Go (parents, you’ll be glad!) 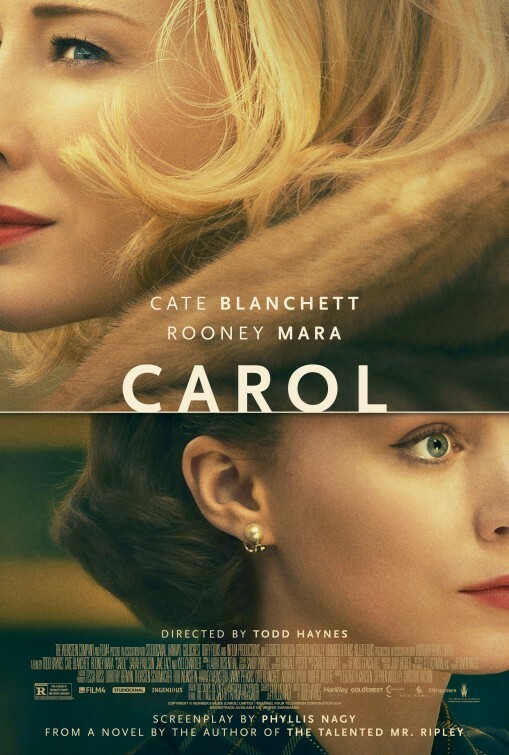 but it displays the same playful fun that won the same songwriters an Oscar a year ago. It’s a truly delightful 7 minutes, so don’t be late! Thoughts: Director Terrence Malick doesn’t play the Hollywood game so it’s interesting that his newest film seems quite focused on the California lifestyle of the Tinsel Town elite…or does it? It’s hard to say because plot details are scarce and any attempts at figuring out who Christian Bale (Out of the Furnace) is playing could provide you ample amount of head-scratching time. Though only Malick’s seventh feature film since 1973, his style is instantly recognizable and it’s intriguing to know that it was mostly improvised. People either love or hate Malick; there’s no halfway camp (hello, Tree of Life bashers!) but even in his most obtuse the man knows how to frame a scene to make ordinary images seem extraordinary. 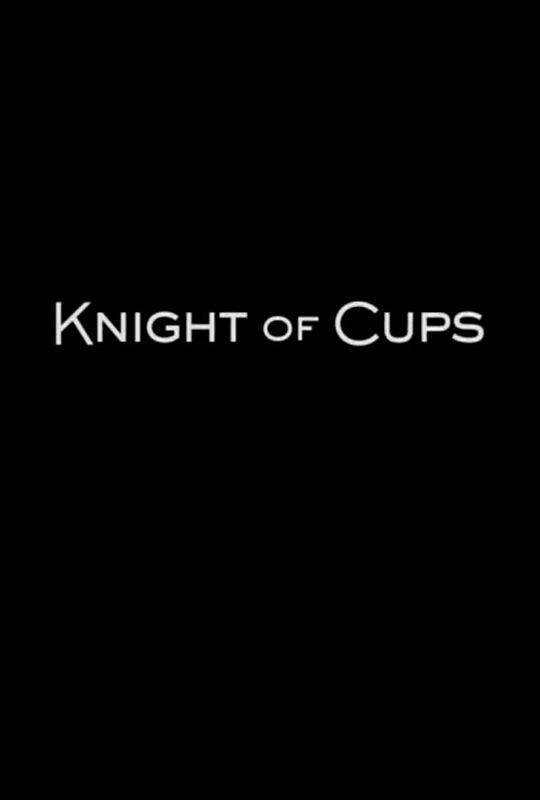 Co-starring Cate Blanchett (Blue Jasmine), Natalie Portman (Thor), Imogen Poots (That Awkward Moment), Jason Clarke (The Great Gatsby), and Joel Kinnaman (RoboCop). 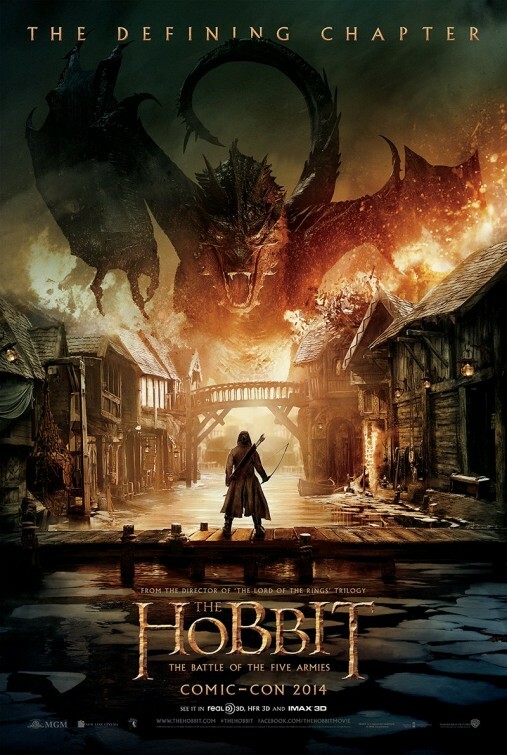 Synopsis: The Company of Thorin has reached Smaug’s lair; but can Bilbo and the Dwarves reclaim Erebor and the treasure? And, if so, can they hold on to it? Thoughts: All those eyebrows that have been raised since Peter Jackson returned to Middle Earth and the land of elves, hobbits, dragons, and wizards will finally get a chance to rest once the final chapter of The Hobbit trilogy is released in December. Though the trilogy hasn’t been met with the same rapturous acclaim that The Lord of the Rings films accumulated, there’s no denying Jackson has leveraged his talents to see it all through to the very end. 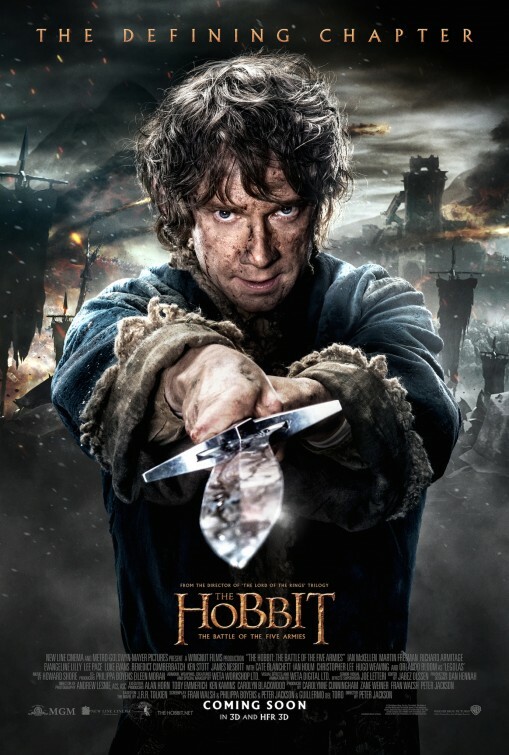 I was slow to warm to The Hobbit: An Unexpected Journey and thought The Hobbit: The Desolation of Smaug was an improvement so I hope that trajectory continues. Even with the endless debate about Jackson’s use of advanced filming technology and employment of 3D can’t diminish my overall respect for his hefty accomplishment. Looking forward to this, no question. Review: While How to Train Your Dragon reached massive audiences in 2010, it failed to reach me until a few months into its run when I caught it on a double bill at an IMAX theater. To get to the film I wanted to see (Hubble 3D) I had to see the animated adventures of a Viking lad making friends with a dragon, the sworn enemy of his people. Hardly looking forward to it, I ended up being dazzled at what the folks at DreamWorks Animation had dreamed up and impressed that they had strong material (a series of books written by Cressida Cowell) as a jumping off point. I failed to re-watch the original before going into the second film so it took me a while to re-assimilate myself with the characters. This was made more difficult because everyone has grown up a lot in the three years since we last saw Hiccup, his dragon Toothless, and the rough and tumble friends, family, and other breeds of dragon that now comfortably share their beautifully rendered coastal village. Wasting hardly a second in its running length, we’re soon trailing Hiccup and Toothless as they avoid capture by a band of roving dragon pirates and discover a new world of dragons living in a crystalline ice cave guarded by a mysterious figure known as the Dragon Rider. Keeping this review as spoiler free as possible, I’ll only say that the voice of the Dragon Rider is provided by a recent Oscar winner smelling of blue jasmine. When a sinister foe appears and threatens to destroy the peaceful harmony Hiccup and his kin have formed with the dragons, it’s all hands on deck for a dramatic showdown that will change everything moving forward. Though rated PG, How to Train Your Dragon 2 is, like the recently released Maleficent, ever so slightly too scary for young children. Some events transpire that parents may not feel ready to discuss with their children yet but I applaud the filmmakers for handing some delicate moments with sensitivity that doesn’t feel like hand-holding. Surprisingly, I found myself choking up a bit through several passages in the film that masterfully tug at your heartstrings. 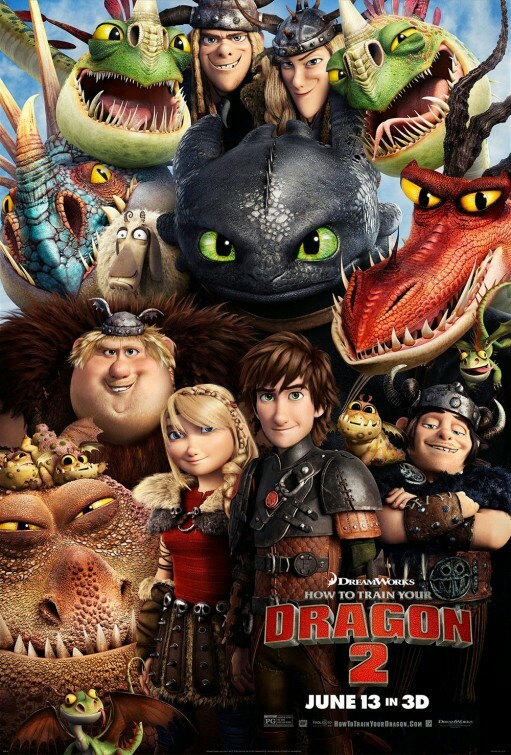 What makes How to Train Your Dragon 2 such a success, ultimately, is a maturity not often found in a “family film”. Yes, it’s stunning in its style and lavish in its spectacle but it has a strong heart beating under its dragon armor that it embraces fully. I don’t imagine this will be the last of the series so I’m hoping that further adventures will be handled with the same care.